Reset and recommence from prayer. Prayer does not subtract us from the world. To the contrary, it gives people the sense of living. Benedict XVI, in his catechesis at the general audience of Wednesday, June 13, did not respond directly to the attacks levied against the Church. He is not interested in gossip, or in responding one by one to allegations. His statements are clear, and mark the change of an era: before, the Holy See whispered, and everybody tried – successfully or not – to interpret what it said. 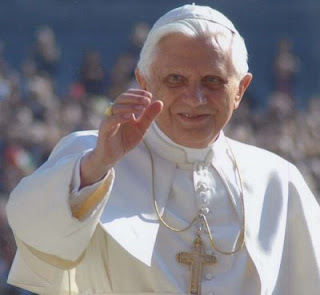 Under Benedict XVI, the Church does not hide. Everything is open and public, because there is nothing to fear if nothing wrong has been done. This is why the Pope steers clear from polemics. Only at the previous general audience, Benedict XVI used the occasion to take a stand against the attacks to his closest collaborators. At the end of the audience he renewed his trust in them with a precise and straightforward declaration, underlining keywords with his own voice. The latest attacks have been increasingly vague on the Vatileaks issue and the arrest of the butler Paolo Gabriele, and ever more focused on the Works’ Institute (IOR) issue and on the ousting of its former president Gotti Tedeschi. Tedeschi has been spinning the controversy with his innuendoes, his responses to the magistrates of Rome questioning him as part of an ill-defined investigation, and with the IOR files seized by the Italian public prosecutor of Naples. The Pope responded to all of these developments, controversies and media attention with a catechesis on a general audience. As part of the cycle of the catechesis on prayer, the audience was dedicated to prayer in the life of the apostle Paul. The Pope recalls: «Defending the legitimacy of his apostolate, Paul looks up, above all, to his profound closeness to the Lord in prayer, marked by moments of ecstasy, visions and revelations (cf. 2 Cor 12:1ff.). Yet he speaks too of a trial which the Lord sent him lest he become conceited: a mysterious thorn in the flesh (v. 7). Paul therefore willingly boasts of his weakness, in order that the power of Christ might dwell in him (v. 10). Through this experience of mystical prayer, Paul realized that God’s Kingdom comes about not by our own efforts but by the power of God’s grace shining through our poor earthen vessels (cf. 2 Cor 4:7)». The message of the Pope is that it is not man’s perfection that makes the Church. It is on the contrary the weakness of man that characterizes it. If the Church is still here, it is not because of the men and women that are part of it, but by the grace of God. 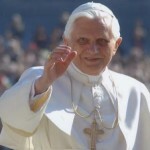 The call to simply follow the gospel points to a fundamental change coming about under Benedict XVI. The Pope chose his collaborators on the basis of personal knowledge and trust. But their role, the responsibility they are charged with, the «image» they project as Papal collaborators, must not overshadow that of the Church as a whole. In the past, everybody knew Cardinal Angelo Sodano, Secretary of State, while the work of Vatican diplomacy was less known. Now, the Secretary of State, Cardinal Bertone, is receiving a lot of attention, because of the internal resistance to him and his new course. Yet, Vatican diplomacy is more important than the Secretary of State. At an international level, the Holy See has proposed a World Authority with universal competence. During the Preparatory Commission for a new ATT (Arms Trade Treaty), the Holy See proposed to broaden the ATT to small arms and light weapons, going beyond the seven categories in the U.N. register of arms. The Holy See also supported denying patents to inventions that would damage human beings. Equally important is the Holy See position paper for the Preparatory Commission of the U.N. conference on the environment, Rio+20, where it calls for «a new model of development» and underlined that sustainable development is part of comprehensive human development – one of the key words of the “change of dictionary” for the United Nations, described by Silvano Maria Tomasi, Papal nuncio to the Geneva office of the United Nations. Another example of the change of an era is in the profile of the personal secretary of the Pope. Stanislao Dziwisz – now cardinal and archbishop of Cracow – was in a center stage role. Georg Gaenswein has been under attack by the leaks, but he has always kept a low profile, fulfilling his duties with discretion. Many – inside the Vatican – did not welcome this change to a new era. It is the end of personalism, evident also in the no confidence vote by the “lay” board of the IOR to the president of the board Gotti Tedeschi. He did not get a no confidence vote because of the policy of transparency – that the Holy See is implementing with tenacity and commitment, adhering to international standards – but because the board did not considered him able to lead the institute. His media activism – this is one of the accusations levied against him – was missing when the IOR needed to be defended. The memo of the no confidence vote has been (almost institutionally) released. And the general manager of the IOR, Paolo Cipriani, talked about what the Institute has been doing in terms of transparency during the last years. The facts are public, and there is not much more to say. Pretty component to content. I just stumbled upon your blog and in accession capital to assert that I acquire in fact enjoyed account your weblog posts. Any way I will be subscribing to your augment or even I success you get right of entry to persistently rapidly. I’m now not sure whether this post is written through him as nobody else recognize such particular approximately my difficulty. You are wonderful! Thanks!